Cinematic Autopsy: "Memory of the Dead" COMING TO DVD & VOD FEBRUARY 25TH! "Memory of the Dead" COMING TO DVD & VOD FEBRUARY 25TH! Artsploitation Films is proud to announce the DVD and VOD release of Memory of the Dead (La Memoria del Muerto), a stylish, indie horror film from Argentina, directed by Valentín Javier Diment. The film premiered at the Fantasia International Film Festival in 2012 and played in fifteen international film festivals, including the Buenos Aires Film Festival and Austin's Fantastic Fest, and won the best film award at Mexico's Feratum Film Fest. 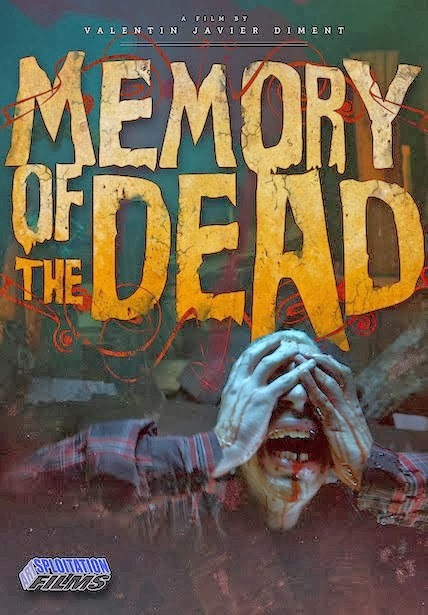 Memory of the Dead comes to DVD and VOD on February 25th with a SRP of $29.95 and bonus features including trailers. Argentina's Memory of the Dead boasts some terrifying FX setpieces bathed in a candy-colored visual palette that makes Mario Bava's gothic classics look monochromatic by comparison. Following the sudden death of her husband, Alicia assembles all his friends at a vast country manor for a reading of his final letter. But Alicia also has other plans in mind - helping her husband return from the grave with a spell that will put all of the gathered guests in mortal danger. Memory of the Dead is a stylish, supernatural shocker that is scary, hysterical and packed with mind-boggling visuals. For more information on Memory of the Dead, or to request a press screener for review, please contact Matt Barry at (212) 629-6880 or mbarry@kinolorber.com.